I haven’t seen scientific literature that is promising with respect to real-world benefits. And despite common misconception that vitamins at “reasonable doses” are harmless, there is strong data to show that this assumption may be false. **In healthy people living in developed countries and eating a normal diet, the benefit of taking vitamin supplements is well established only to ensure an adequate intake of folic acid in young women and of vitamins D and B12 in the elderly. **There is no good reason to take vitamins A, C, or E routinely. **No one should take high-dose beta-carotene supplements. **Long-term consumption of any biologically active substance should not be assumed to be free from risk. 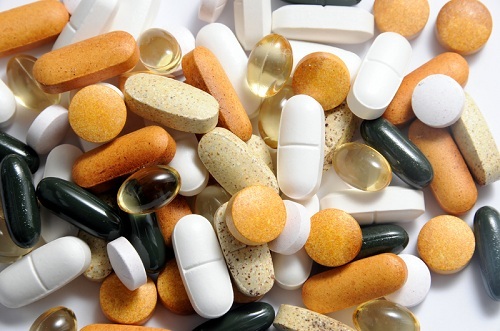 What supplements do I personally take? Full disclosure: I also combine my fish oil (I take it in a liquid form) with extra virgin olive oil and a sea vegetable concentrate…both of which are high in anti-oxidant properties, but not something I would consider vitamin supplements. Other than that, I try to eat “real food” and do my best to avoid all sugar, grains, and refined carbohydrates. And I exercise really intensely once a week. Since people often ask, if you want to know the details of my exact fish oil routine: what brands I like, how much I take, etc., shoot me an email and I’ll send you a copy of the details. Someday I’d like to write thorough explanation of how I look at the risks and benefits of vitamin supplementation, but I hope that this short overview is helpful for now. P.S. I’ve heard speculation that sugars/grains may act to cause a depletion of necessary vitamins in the body. If you have any good leads on this, pro or con, feel free to let me know! I really have heard so many diereffnt things regarding supplements. Some people swear by them, and others say that you should avoid them and try to get your nutrition and weight loss mostly through mostly diet and exercise. I guess that sometimes they can help in the short term, though, as long as you research the supplement well before taking it. Last updated by Chad Morris on January 9, 2012 .